It's Friday and that means it's time for another round of Freebie Friday! That's where I give you a Silhouette Studio cut file for free! 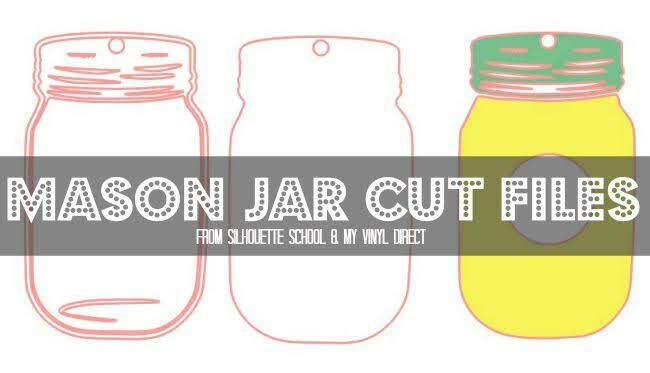 This week I'm sharing a set of mason jar cut files courtesy of My Vinyl Direct. Now usually you can pick up the coordinating SVG design from My Vinyl Direct with the purchase of the matching mason jar acrylic blank, but sharing is caring - so I have it for free for ya! 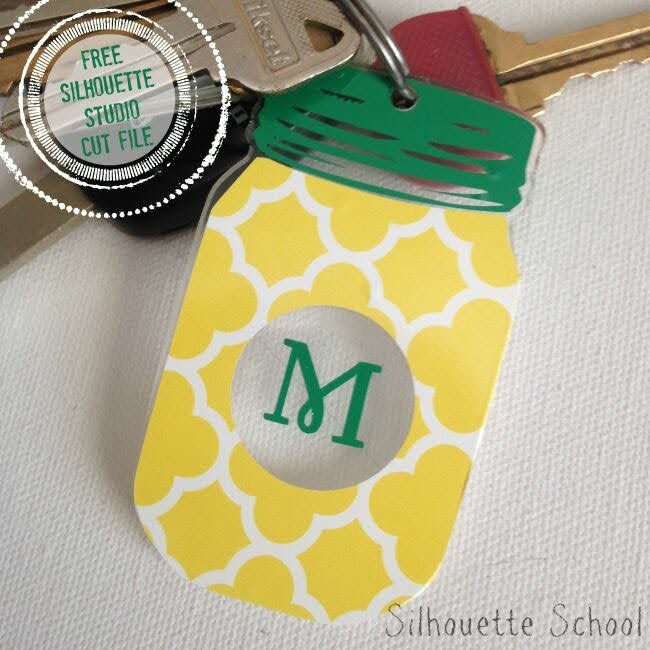 I used the file to create a pineapple-inspired monogrammed mason jar keychain. For cuteness sake, right?! Pineapples are like all the rage right now and you can't go wrong with mason jars or monograms. Put them together and you've got pretty close to perfect. IMHO. To create it, I deleted a few of the offsets from the original design and added a circle and monogram in the middle - so I included the modified file too! Keep in mind, the cut files are perfectly sized to fit the MVD mason jar blanks so don't resize it if you're cutting vinyl to decorate them. You can cut it on whatever vinyl you like, but for the pineapple look I cut the lid on green adhesive vinyl and the jar part on a yellow quartefoil patterned vinyl. Hi. Yes it's the most efficient, easiest and free way to share files with a large audience. I couldn't find the mason jar blanks on MVD's website. Help please! I think they have the mason jars on punch place too.. I figured out how to save it without Dropbox. Thanks! Thank you so much for sharing! I looked everywhere for this file. Do you happen to have the one for the football? Is the quatrefoil patterned vinyl or did you design it? What would also be nice is actual mason jar labels. Something preferably dishwasher safe. Did you place the vinyl on the front or the backside? also indoor or outdoor vinyl? Hello. Newbie here, is there a way to get the inside of the jar cut out too? Like I just need the tracing of the outside, since I want to put a monogram in the middle.